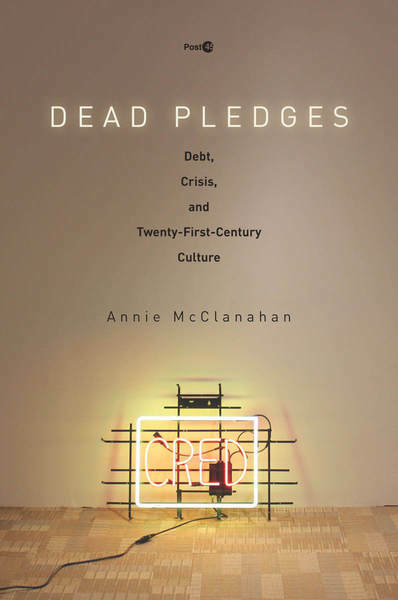 Today’s needull is review of the book – Annie McClanahan’s Dead Pledges: Debt, Crisis, and Twenty-First-Century Culture (Stanford, 2016). The crisis that happened in 2008 might not be over yet despite the positive reports in newspapers. Following Marx’s intervention, McClanahan pulls out from her close readings of these texts a central contradiction of our time: as subjects in a time of debt, we are called upon to follow and act upon our desires and needs for shelter, sustenance, and security, but then are then turned into pariahs of unregulated desires once the moment of crisis hits. McClanahan demonstrates how, in these ideological explanations of crises, the structural level of capitalist macroeconomics always drops out. What Dead Pledges restores to our understanding of the 2007–2008 crisis is how capital accumulation depends on individuals taking out credit and debt; but explanations for the crisis have consistently misplaced the blame onto those of us who have been forced, by a declining productive sector, to turn to debt to reproduce ourselves and to survive. Posted on May 3, 2017 April 30, 2017 by NeelabhPosted in Culture, Economics, SocietyTagged Debt Crisis, The New Inquiry.